We can all agree that one of the best inventions of humankind is coffee. It’s the one drink that millions of people around the world are passionate about drinking right before their workday. In fact, there is no beverage as popular as coffee to drink in the morning, afternoon, or evening. Now, we don’t want to start any problems with water- because water is important as well. However, when it comes time to traveling, hiking, or even camping – it can be quite difficult to get that fresh cup of coffee that you crave every single morning – until today. We are incredibly excited to share with you some of the most unique and coolest innovations in the camping industry – camping coffee makers! These products have been created to help coffee-lovers, such as yourself, brew that fresh cup of coffee without the need for electricity or a coffee shop. Now, as you might imagine, there are dozens of different products; however, we made your decision process that much easier. Today, we are going to share with you the absolute best in the class of camping coffee makers. So, before you are quick to make a cup of instant coffee, consider one of these 10, high-quality products. Nothing is more delicious, more comforting, and more enjoyable than a fresh morning cup of coffee. Well, with this next coffee maker, morning can be any time of the day. This next coffee maker is perfect for the camping or outdoor enthusiasts that want to ensure they have their morning kick with them. However, you cannot plug a coffee maker into a tree and expect it to work. Therefore, this next coffee maker is perfect for those camping days you want a fresh brew. 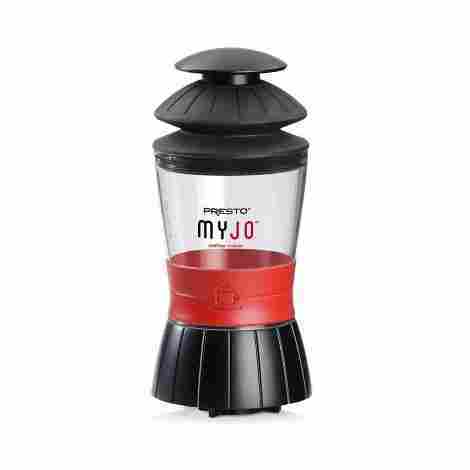 Let’s talk about the Presto 02835 MyJo Single Cup Coffee Maker. Here are two cool features one can expect from this single serve coffee maker. So, how does one exactly use a coffee maker without the electricity? Well, if you are camping, you have to heat up the water like cavemen did! Other than that, you pour the hot water into the reservoir and allow your coffee to brew. Next thing you know, like a perfectly designed machine, your coffee is ready. Yes, it is that simple. All one has to do is place their single coffee pack or add coffee grounds to the MyJo cup and your coffee is almost ready. One of the best benefits of this coffee maker is that one can choose exactly how they want their coffee to be made. If you are a K-Cup lover, then you can use a K-Cup thanks to the easy to use system. If not and you prefer the authentic flavor of regular coffee, then add your favorite coffee grounds and watch it brew. With a couple simple pumps of the hot water through the K-Cup, individuals will enjoy a fresh batch of coffee in no time. With two ways to make coffee, just make sure you bring along your favorite coffee and your favorite mug! Individuals will be pleasantly shocked by the price of this particular coffee maker. This brand has marketed this single serve coffee maker as the perfect convenient way to make a single cup of coffee without the high cost. This is true! This coffee maker is extremely affordable and effective for the price. One could wonder, is there a better option out there than this one? Single serve coffee maker that is really easy to use. The design makes it lightweight and portable. Prepare your coffee on the go no matter where you are. One of the best coffee makers for camping. Use with K-Cups or regular coffee. High-quality design that can last the test of time. Users have mentioned that they have to press the pump multiple times for it to work, which can get tiring. This may just be the cutest coffee maker we have seen. It is “squeeze it by the cheeks” cute! The reason being is that this coffee maker acts much as a tea brewing system and a mug all at the same time. Yes, you don’t even have to bring a mug with this particular coffee maker. What users can expect is a high-quality coffee maker that is perfect for camping and a day outside. With that, let’s talk about two features that make this the perfect company to any day out and about in nature. Here is the Primula Single Serve Coffee Brew Buddy. When this manufacture thought about ease, they sure delivered. This may be the most simple and easiest coffee maker to use. However, it is more of a coffee brew system than anything. With a mesh filter, all users have to do is place coffee, hot water, cover and let it steep. With that, what does it remind you of? Well, a tea brew system of course! What we can say, is that it is well built and effective for what an individual is using it for. One of the best benefits of this coffee maker is that since it is more of a mug with a mesh steeper, it is dishwasher safe. With that, individuals will thoroughly enjoy being able to clean this coffee maker easily and effectively. Also the mesh system is easy to clean as well, which adds to the usability of this particular mug. As we take cost and value into consideration for this particular coffee, we can say that this is one of the best-designed brew systems for coffee. With that, it is priced as cheap as a regular mug you would find in the store. Users should expect that the fine mesh filter will be of great quality and make coffee in an effective and easy to use way. With that, we highly recommend it as your next travel buddy. Brew a single cup of coffee easily. Economical and reusable fine mesh filter is easy to use. It is easy to clean and easy to use daily. Users have mentioned that the coffee taste is only okay. This next coffee maker system makes it simple for individuals to have a good cup of coffee while out and about. As the perfect companion to any day out in the woods or camping, if you want a morning cup of coffee, this may help. This is known as the Kuissential SlickDrip Coffee Dripper. Let’s talk about what makes this particular coffee making system useful and beneficial when out and about. Here are two important points worth notating. When it comes to the design of this drip system, the creator wanted to focus on a minimal well-built design that was easy to store and not take up too much space. Therefore, this manufacturer made it out of a collapsible silicone design. Most importantly, since the water that is being poured into the system is extremely hot, it is vital that it withstands really hot water temperatures, and the silicone material is for that. More so, the collapsible design allows for individuals to take it on the go without taking up too much space. Have you ever made coffee using a single serve or a dripper and the last thing you actually tasted was the coffee, but instead you tasted more of the plastic or metal? Well, that is why this manufacture focused on making it out of silicone. Fun fact, silicone cannot absorb odor or transform chemical taste onto the coffee or hot water that is being poured through it. With that, users can rest assured that they will be tasting the coffee above all else. 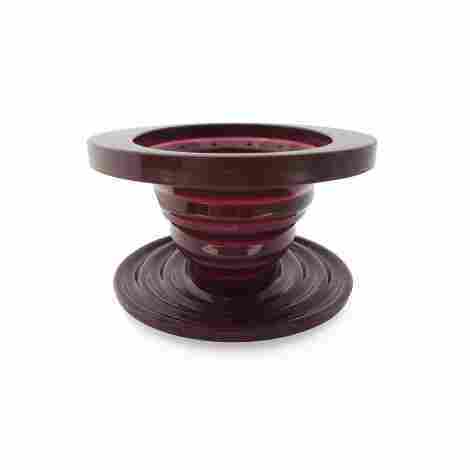 When we take cost and value into consideration for this particular coffee dripper, we cannot help but appreciate the design elements that make this one of the best coffee drippers out there. With a collapsible design, users can take this anywhere, backpack, purse, or any camping gear. With that, users can trust that the coffee dripper will last the test of time. More so, the price is very low and worth it if you want a simple drip system to make your coffee in the morning while camping. This coffee drip system is easy to use and simple to pack. It is lightweight and can be taken anywhere. The collapsible design is very beneficial. The silicone material is very durable. Users have mentioned that it does condensate and will drip water. Alright, it is time to introduce a different type of coffee maker on this list. This is not a single serve and it looks exactly like a regular coffee maker. If you want a more professional and authentic coffee experience, the Coleman Camping Coffeemaker is the perfect coffee maker for you. With that, individuals can enjoy one of the best coffee makers available to date for the camping and travel enthusiast. What we can say is that this coffee maker is high quality and we are eager to talk about two beneficial points. This coffee maker acts like a regular coffee maker. 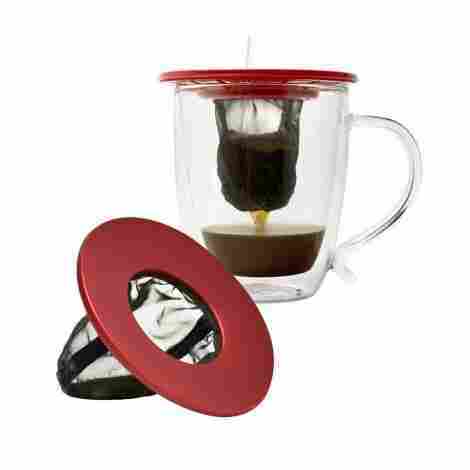 It is designed like a coffee maker so you just add your coffee grounds, your water, and watch it brew. More so, individuals will enjoy the fresh taste of coffee every morning with this coffee maker. It does not plug in, require batteries, or need any weird pumping. It actually works alongside a Coleman 2 or 3 burner stove. So, you cannot forget that! Considering that it is meant to act much like a regular coffee maker, we are eager and excited to share this coffee maker with you. With that, we believe this is one of the best coffee makers as far as design and quality. With up to ten six-ounce cups of coffee, individuals will love the no electricity system from this coffee maker. After 10 minutes, you can enjoy an amazingly authentic cup of coffee. As we take cost and value into consideration, we can say that this is one of the best coffee makers to date. In fact, individuals will appreciate the high-quality design alongside a price that is virtually a steal. With that, however, this works alongside a Coleman burner stove, so keep in mind, it is more of an investment in this company and their products. High-quality coffee maker that is easy to use. Makes delicious cups of coffee for many people. Users love the design quality. Great coffee maker for camping. Users have to purchase a separate heating unit to use this coffee maker. This next coffee maker is the perfect travel coffee maker for individuals on the go. In fact, it is one of the best solutions for individuals that want an easy to use coffee maker that ensures hot and delicious coffee. Let’s talk about the Granite Ware Coffee Boiler that can also be used for tea and water. With an inner carbon steel core, this is one of the best water heating systems out there, with no electricity or batteries requires, just you and nature! Let’s talk about two features worth knowing. As we said in some of the previous camping coffee making systems, it is awful to try and make yourself a delicious cup of coffee and all of a sudden, you taste metal or plastic. With that, individuals will appreciate the pure design of this coffee maker, which allows individuals to taste the beverage they are making, not the metal or plastic taste. With that, individuals can easily make hot chocolate, coffee, tea, and more. Just brew and enjoy! This coffee maker has a well-built design that will last for many camping trips to come. Individuals will enjoy and appreciate the well-built porcelain exterior that is also easy to clean and easy to use. With that, users trust that they can take this coffee maker anywhere. Thanks to the porcelain exterior and carbon steel core, making coffee is easy with this coffee maker. As we take cost and value into consideration for this coffee maker, we can say that this may be one of the simplest systems to use out there today. In fact, this coffee maker is durable, easy to use, simple and works effectively with almost any coffee system. With that, the price is well priced and individuals can expect a high-quality design from the coffee maker. Easy to store, carry, and take out whenever you need. A fun way to make your coffee. Perfect to travel with or go camping. Users have mentioned that since it is made out of porcelain, it could chip easily if an individual is not careful. We hope everyone knows of this next coffee maker! In fact, this may be what people call the “original” coffee maker, the coffee maker that started it all. This coffee maker is known as the French Press and it has traveled years to meet us. 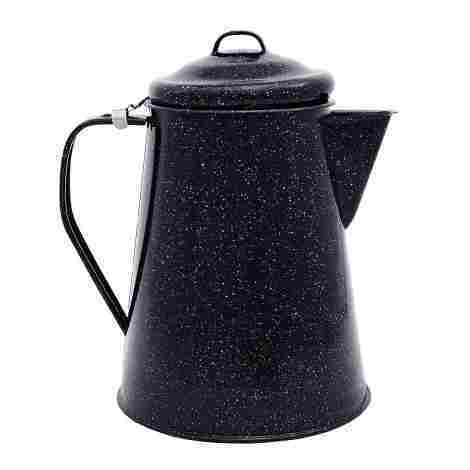 In fact, the French Press was created by Milanese designer Attilio Calimani, in 1929. Without further wait, we bring you one of the best French Press available today. 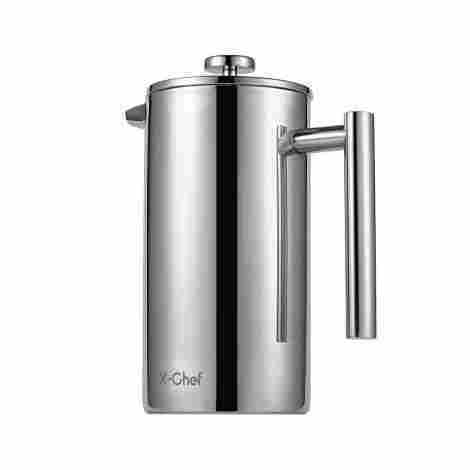 Let’s talk about the X-Chef Large French Press Coffee Maker. Here are two important points worth notating. 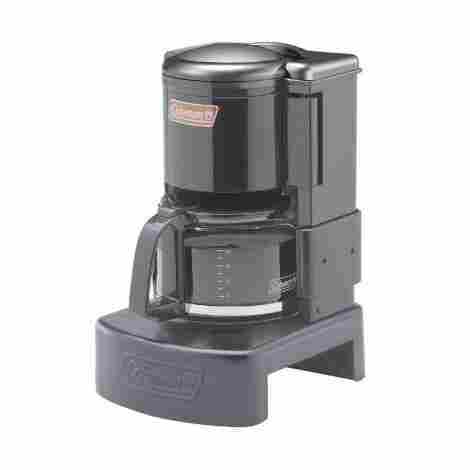 This style of coffee maker has been known as the single serve or double serve coffee maker. However, this coffee maker is bigger than most French Press. In fact, this one is a 1.5 liter, 50 ounce French Press that is great for two or three people. With that, users who are camping can take it on the go and prepare coffee for the whole day. This makes it a lot easier, especially if you are having long road trips or plan on camping for days. When making coffee, nothing is worse than having it go cold easily. With that, the heat retention design of this coffee maker makes it easier for individuals to enjoy a delicious cup of coffee all day long. The design is simple, a double wall construction that keeps the coffee warm all day long. However, the exterior wall stays cool to the touch so individuals never get burnt while using it. With that, this coffee maker delivers a delicious fresh warm cup, all day long. So, how much does one of these bad boys set you back? Well, considering that it is made out of a double wall glass construction, double filter system, vacuum insulated, oh and it is made out of stainless steel, well it is not that expensive actually. In fact, this one, in particular, is about standard price for a coffee maker. What users can expect is that they will be opting for a valuable design system that was designed close to 100 years ago. High-quality design from a trusted company. Stainless steel material is perfect to withstand the test of time. Double wall insulation makes it easy to use. Bigger size so you can travel longer with your delicious cup of coffee. Users have mentioned that the plunger may spill some times when being pushed. It is time to introduce one of the smallest coffee makers on this list! With that said, this next coffee maker system is easy, portable, lightweight and perfect for individuals that want to go camping or travel often. The GSI Outdoors Ultralight Java Drip may be one of the best coffee makers for a simple pour of a fresh batch of brew. Let’s talk about two of the most important points people need to take into consideration if they are thinking of getting this coffee maker. This coffee maker system is known as a drip-cone system. Essentially, what an individual does is boils water and then adds coffee into the filter compartment. With that, they slowly pour the water to the point that it pours through the filter, making a delicious batch of coffee in no time. With that said, it is simple to use and easy to take anywhere. Users recommend being very careful when pouring the hot water, however. One of the best aspects of this particular coffee maker is that an individual can brew 1 or more cups. With that, it is the perfect drip system to take along on camping trips where the whole family wants a cup of coffee. Simply pour more hot water and begin pouring slowly. With that, users can experience a delicious and simple cup of coffee in no time. As we take cost and value into consideration, we want to say that this is one of the most simple coffee drip systems out there. Individuals should expect that the coffee drip design is easy to use and easy to pack. 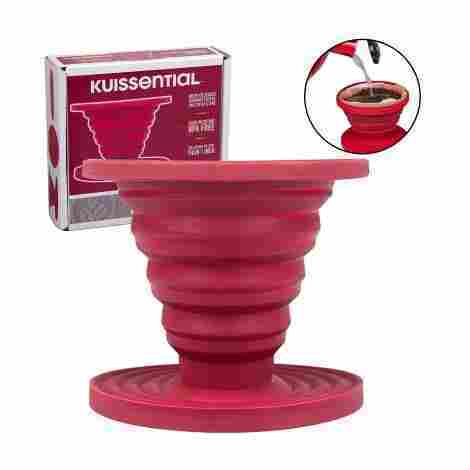 It is collapsible so it barely takes up space and it is made of a silicone material that does not add any particular odd taste to the coffee. With that, it is extremely affordable considering it is a simple coffee drip system. We recommend it for users that want to make a delicious simple cup of coffee in no time. Delicious coffee drip system that is easy to use. Collapsible design makes it easy to store. Unique, fit-ring design that does not leak. Backed by a full manufacturer’s warranty. Users should expect that this is a simple coffee maker drip system, nothing special. Users have mentioned for the quality, they believe it is somewhat expensive. It is time to talk about what may be the best brew and cook set for backpackers and people that love camping. This next coffee maker system is perfect for the outdoors thanks to the innovative design and lightweight qualities that make it worthwhile. With that, users will love the high-quality materials and will appreciate that it can both brew and cook anything you put in it, within reason. 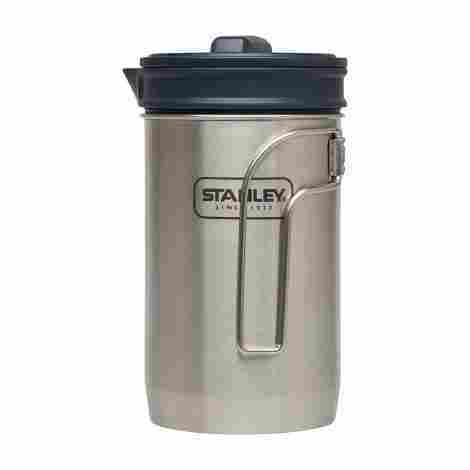 With that, let’s talk about the Stanley Cook + Brew Set and what users can expect from this quality brew and cook set. The design of this particular cook and brew set is one of really high quality. The manufacturer took into consideration how important it was for users to have a quality brew and cook set that was easy to pack and store. Therefore, they created it with a nesting design that saves space. Essentially, the parts fold into each other so individuals can easily store it. More so, the handle folds flat so it can easily be stored in a backpack, simply extend it to pour. One of the most important aspects of creating something as a portable outdoor cooking or coffee brewing set is the materials used in the construction process. The materials for this particular brew system are high quality, which reflects the longevity of the product. The outside material is made of 18/8 Stainless Steel with a nesting design and the lid is made from a melt-resistant nylon design that is also BPA free. As we take cost and value into consideration, we can easily say that this is one of the best-designed brew and cook set systems out there. The fact that it has different important design elements such as a locking handle and melt-resistant nylon lid, users will love the high-quality design that makes this one of the best brew and cook systems out there. With that in mind, we can say that this is one high quality rugged and durable outdoor piece of equipment that will come in handy. For the price, it is worth it! High-quality design that makes it easy to pack and travel with. Locking handle that locks into place for easy storage. A vented lid that is BPA free. Trusted company with plenty years of experience. Users have mentioned that it loses heat rather rapidly. This next portable coffee maker is quite different than other coffee makers on this list. In fact, this is known as a portable espresso maker. Therefore, for users that love their coffee strong and bold, this is the perfect coffee maker for you. We are eager to introduce a new type of portable coffee maker that has rave reviews and offers a high-quality design. 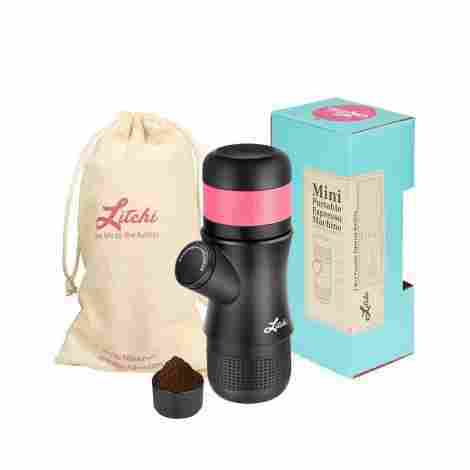 Let’s talk about the Litchi Portable Hand-Held Espresso Maker. Since espresso makers work in a different way than other coffee makers, this manufacturer focused on creating a coffee maker design system that would be easy to use and very clean. With that, they designed it in a way that can be used in three simple steps. First, an individual can use the measuring scooper and compact ground coffee into the non-paper filter. After that, add hot water to the chamber and then pressure pump by hand. Next thing you know, you will have a delicious cup of espresso coffee in no time. Add milk to make a delicious cappuccino! This manufacturer is touted by always including something special in each of their products. With the portable espresso maker, they have added a couple bonus gifts for the espresso lover. These gifts include a high-quality filter basket in case the first one brakes or gets damaged during your travels. More so, they also added a safety carrying bag that users can use wherever they go. With that, users will love the ability to store and pack this coffee maker. As we take cost and value into consideration, we can easily say that this is one of the highest quality portable coffee makers. With that, this coffee maker is particularly designed for individuals that want a portable hand-held espresso maker. With a design that makes it easy to use and easy to store, individuals will appreciate the high-quality design. As far as cost, it is about the same price as a regular espresso maker, which some people see as pricey, but, it is high quality! Portable design that makes it easy to store and pack. Makes a delicious cup of espresso coffee. Trusted urban brand with plenty of rave reviews. Carrying bag comes as a bonus! Not as strong as a regular espresso maker. Once again, it is time to bring back the collapsible coffee maker drip design. As the last product on this list, we had to introduce it because users do really enjoy and like this product. If you have not found the perfect coffee maker drip system yet, then this may be the next coffee maker for you. As a great quality coffee maker, users will love the design and the portability. 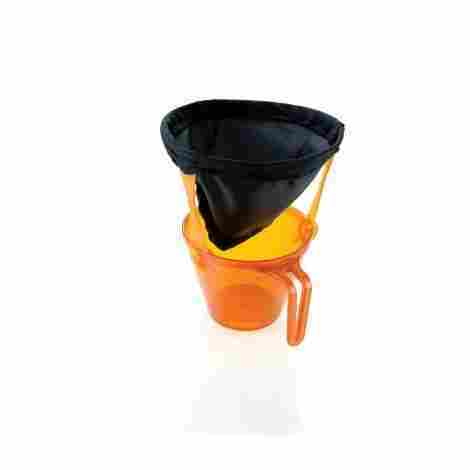 Let’s talk about the Mountain Mojo Collapsible Coffee Dripper. This coffee maker’s design makes it the perfect coffee maker for individuals that love the outdoors but also love their quality cup of coffee. The design is simple, portable, and made so it is lightweight. The lightweight collapsible design is perfect for individuals that do not want to take a bunch of coffee gear. Simply, boil hot water and pour over a coffee filter. When it comes to a coffee drip system such as this, it needs to be designed from materials that are safe and do not contaminate the coffee with a weird and odd taste, like metal or plastic. With that said, the manufacturer made this coffee drip system from a silicone material that is BPA free and does not add an odd odor or taste to the coffee. With that said, users will always get a fresh and delicious cup of coffee with this drip system. When we take cost and value into consideration, we can say that this is one of the best coffee drip systems for individuals that do not want to haul around a bigger coffee maker. The collapsible design makes it perfect for travel purposes and the cheap price makes it worth a try. Users will appreciate the design quality and with a 100% satisfaction guarantee, we believe it is worth it. Collapsible design that is easy to store. Quality silicone design that does not transfer taste to the coffee. Brew good cups of coffee on the go. Users have mentioned that it is best to drill a small hole to decompress the steam, otherwise it spills over. Oh, wow! That was fun, wasn’t it? Can you smell the coffee in the air? With one of today’s coffee makers, you can truly make a fresh cup of coffee whenever you choose. Whether you are desiring a fresh cup of morning coffee before the family hike up the mountain or perhaps a delicious coffee to relax while the sun slowly glistenes through the tree lines – these products can rise to any of these occassions. Now that we have reached the end of our buying guide, we wanted to share some last minute thoughts, tips and tricks with you. What camping coffee maker will be joining you on your next adventure? After spending the amount of time that we have evaluating and scanning the market for camping coffee makers – we want to share with you that consumers need to be incredibly careful in making their purchase. Reason being, not only are there many coffee makers that are ineffective – but, let’s be honest – coffee makers like a GOOD tasting cup of joe in the morning, not one that tastes like dirt or has coffee grounds floating around. Additionally, the last thing you want while on an extending camping trip is for your connection to coffee to suddenly break unexpectedly. Lucky for, when it comes to camping coffee makers, we went the hours upon hours so you don’t have to. Now, if you are wondering how we were able to pick out the best products for your consideration, keep on reading! We knew that, before starting this buying guide, we needed to create some standard and measurement that each product should be held to. In this, we created something known as our Criteria Used for Evaluation. At the core, this was a list of standards and requirements that were used to evaluate each product. For example, some of the standards or characteristics are the quality of the build and construction of the coffee maker, usability, and even the amount of cleaning and care required. Below, you will find more information regarding the specific aspects that we looked at, alongside an explanation of how we evaluated a product based on that concept or standard. When you are investing your money in a camping coffee maker, you want to make sure you are spending your money wisely, right? Well, when we were starting off creating a list of important criteria for evaluation, the first one that stood out was the quality of the build and construction of the maker. In truth, knowing how the product was built and the type of materials that the company used could speak volumes about what an individual can anticipate. Again, our goal with this was to keep our readers camping and enjoying the wilderness and not worrying about their coffee maker. So, we carefully analyzed each product, researched the construction process, the materials used in development, and even studied the many different pictures provided. From there, we looked to see if the manufacturer was offering any assurance to consumers, such as yourself. This might come in the form of something like a limited warranty or even a good return policy. The last part of this process was looking at customer reviews and the images that they provide. Since they have experience with the product first-hand, their stories and images really helped us in the evaluation. Did you know that there are many different coffee makers on the market today that consumers complain are too difficult to use? What has happened is that many manufacturers are trying to infuse a lot of technology and innovation and, in this, it makes it complex for people that are seeking a simple coffee maker. With that being said, we know that our readers that love camping and hiking want to spend more time camping and hiking, rather than trying to figure out a coffee machine. So, each product was evaluated based on its ease of use. Now, to ensure each product was easy – we look at the manufacturer’s instructions and product description. Typically, in this market, companies are inclined to share the instructions in their descriptions, because it can be used as a selling point. With that being said, we always consulted with the reviews from previous customers to ensure their claims. In our opinion, we tend to believe that measuring the cost and the value might hold equal importance. Reason being, it’s a proven measure for consumers to discover whether they are getting their money’s worth. So, when we began this buying guide, before we even selected any products or evaluated their build, usability, or even ease of use – we started off with the price tags. We noted exactly what the market looked like; what was the most expensive, what was the middle-ground, and what was the cheapest. In this, we were able to draw some conclusions and start to create some hypotheses. From there, we started to evaluate each product based on value, and all the other criteria discussed in this section. We wanted to know what specific value a coffee maker offered consumers. In this, we compared the value of each coffee maker in comparison to its price tag. Evidently, the goal of any consumer is to purchase the most value at the best price tag. This buying guide features only the most valuable camping coffee makers at the best prices. What’s the sole purpose of a camping coffee maker? To make you a cup of coffee, no matter the time of the day. Right? Well, we know that, while a cup of coffee is important – there is one other part of that equation you are looking for: taste. You don’t want a poor tasting cup of coffee – you want a delicious, rich, and hot cup of coffee. With that being said, as we evaluated each camping coffee maker – one aspect that we analyzed was the taste and performance of the maker. Now, this was slightly harder to measure, if we can be honest. The reason being, taste can be sort-of a preference. However, coffee-drinkers can tell the difference between something that tastes like coffee, water, or dirt – they are distinct. With that being said, to figure out the quality of the taste and performance, we looked at a wealth of consumer reviews regarding their thoughts. In this, we can share that out of the many products, the 10 that we shared with you are known for their quality and performance to create a delicious cup of coffee. So, these products will do their part – all a consumer needs to do is know how to measure the proper cup of coffee, which we will answer below. Cleaning your coffee maker is probably as important as evaluating a product before buying it. The reason being, if you are not careful and fail to maintain the physical maker – it will break down, generate mould and mildew, and slowly hinder the taste of coffee. If you want to avoid this – you need to perform regular cleanings and care. Now, we understand that you might not have a lot of time or want to spend a lot of time cleaning or performing maintenance on a coffee maker. So, as we selected each product for our list today, we ensured that each product was easy to clean, easy to care for, and easy to maintain. We consulted with the manufacturers cleaning instructions and even looked at what consumers were saying about their experience with maintenance. We can say that, if you are looking for simple and easy, these 10 products are great for you! Can you imagine purchasing camping coffee makers and heading out into the wilderness with your friends and family and, after making one cup of coffee, the maker breaks? It would be the most upsetting thing – especially if you love your morning or evening cups of coffee. Now, when we were creating this guide, we know how important coffee could be to our readers. In this, we wanted to ensure that, whatever products we shared with you today were made from the best and most durable materials and technology. Now, for us to figure out whether a product was durable, we needed to do some thorough research. 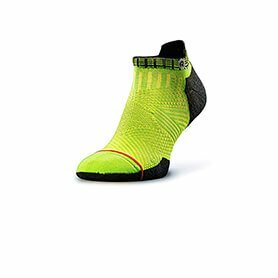 This entailed reading through the product description, doing external research, studying images, and evening consulting with previous customer reviews. In this, we can say that, if we stumbled across a product that had reviews mentioning the product breaking after a few uses, we eliminated it from contention. Q: Why are camping coffee maker better than instant coffee? A: If you are a true coffee drinker – you know the difference between a camping coffee maker and instant coffee. For one, a camping coffee maker operates very similarly to a coffee maker that you find in your kitchen. The only main difference is that instead of plugging it in and having a machine do all the work for you – the user has some roll in making the coffee. Additionally, when it comes to instant coffee – there is a distinct difference in the taste of the coffee. Most regular coffee drinkers can attest that instant coffee has more of a dirt or ground like the taste. A: This is a great question. Reason being, many people have come to believe that a percolator is a camping coffee maker; however, there is a distinct difference, which is more noticeable in the visuals and quality of the coffee. With that being said, when you make a coffee with a camping coffee maker, traditionally, it will come out like a typical cup of coffee. For some coffee drinkers, they might even state that coffee made through these products seems more natural and organic, making it taste better. With a percolator, while they are effective, there is a greater risk of beans or grounds seeping into the coffee as well. In this, the coffee may taste a bit dirtier and watered down. Q: How do you clean a coffee maker? A: When you are making coffee with a regular coffee maker or a camping coffee maker, it’s vital that you take the measures to clean your maker. The reason being, if you don’t, you risk the build-up of bacteria, mould, and even mildew, which, if you ask us, is kind of gross! With that being said, it’s important to clean your coffee maker perhaps once every other week, or once per month. To do so, it’s highly advised to do several cycles with the coffee maker with just pure, hot water. This can help burn and kill any harmful chemicals that might have gotten stuck throughout each use. Some coffee makers have advised creating a solution of vinegar, water, and lemon juice – however, if you do this, you might need to do several rinses of water to remove the scent of vinegar, and many even taste. Q: What are the proper measurements for water and coffee grounds? A: When it comes to the proper measures for water and coffee grounds, the first thing that we would like to say is that it really depends on the coffee drinker. Every single drinker and brand has a different measure that they use. Traditionally, the rule of thumb was that for every 6 ounces of water – you should include, a scoop of coffee grounds. Now, this will depend on whether you prefer your coffee lighter or darker. Using this rule of thumb, it will create a more medium-type of coffee. Q: What type of filters do camping coffee makers use? A: Most coffee makers use the same type of paper filters, which can be found at local stores. However, what is most important to know is the size of the filters needed. Since this is a primary part of the coffee maker, all manufacturers not only provide information regarding the type of filers needed – they even sometimes give consumers a few filters to start off their coffee makers.